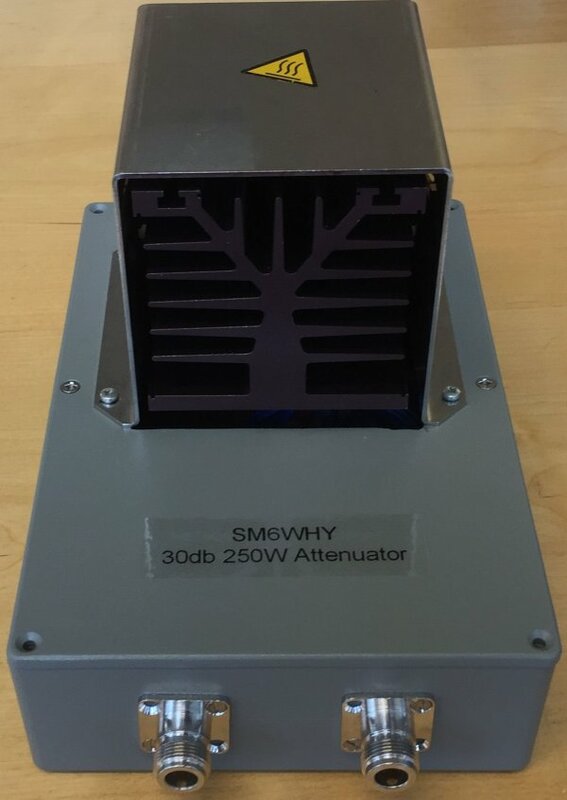 Some pictures of a new started project of a 250W attenuator. I decided to build this because I will need it to be able to test the 2C39 23cm amplifier. The attenuator is from Barry industries A3000-250-4X. 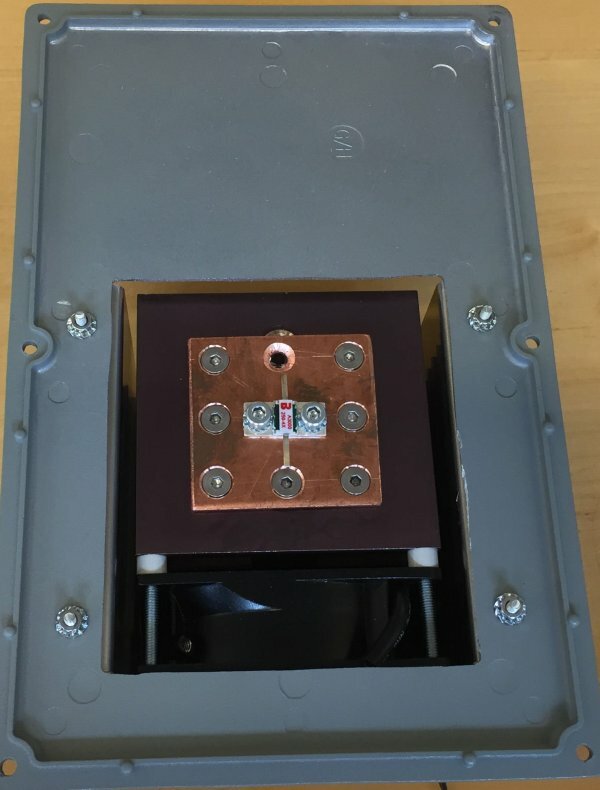 A fan cooled heat-sink is connected to a copper plate. Wiring and shielding is left to be done.